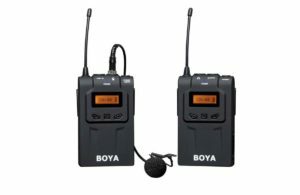 BOYA BY-WM6 UHF Omni-Directional Wireless Mic. 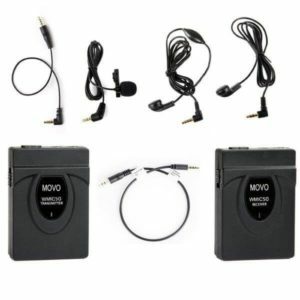 Low cost general purpose microphone that is plugged directly into the USB port on a computer. 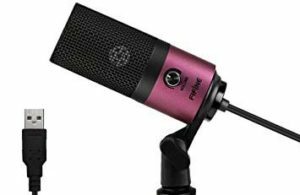 Works well for recording voice over. The little stand is basic and sits to low, and will most likely need replacing.